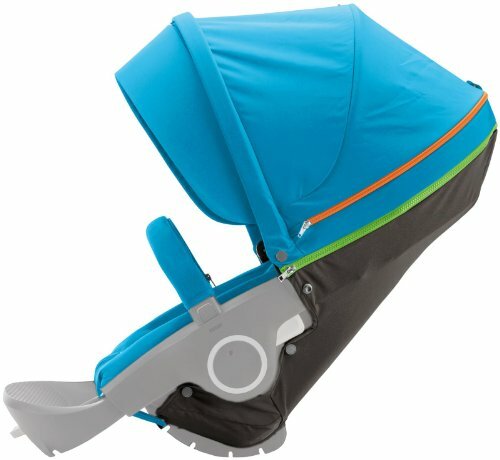 The Stokke Xplory Seat Style Kit allows owners of the Stokke Xplory to enjoy the new colors. A water repellent canopy has a visor which provides extra protection from wind, light, and ventilation to keep your child comfortable. Seat Style Kit includes: Seat Padding and Rear Cover, Harness Protector, Seat Rail Cover, Hood, Baby Pad.